Shawn Levy Taking the Wheel for James Cameron's "Fantastic Voyage"
Having just seen executive producer James Cameron's latest effort, Shawn Levy seems like the perfect choice to direct Cameron's next film. Levy, who has gotten rich directing a number of bad comedies, has been brought on board to direct Cameron's remake of the 1966 sci-fi adventure "Fantastic Voyage," according to Deadline. The original starred Raquel Welch and Donald Pleasence as members of a submarine crew shrunk down to microscopic size and injected in the body of a diplomat in an effort ot save him from almost certain death. 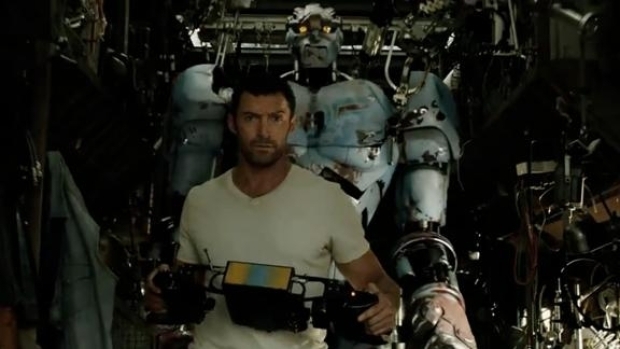 Hugh Jackman stars as an ex-fighter now working as trainer/corner man/builder for a new breed of robot boxer in this upcoming film from Shawn Levy, the man behind such as "Night at the Museum" and "The Pink Panther." We don't know where to begin... Opens Oct. 2, 2011. Levy's first foray into action, "Real Steel," starring Hugh Jackman as the builder/cornerman for boxing robots, is due to come out Oct. 7. The results were good enough that Jackman has already agreed to re-team with Levy for an unnamed adventure film being written by "Lost" alum Carlton Cuse. We remain dubious. You can understand why Cameron would be drawn to the project, but why he would farm out his technology and brand name to Levy is a mystery, especially when you consider how terribly "Sanctum" turned out. Cameron should be smart enough to know he can't simply hand his toys to someone else and expect the same results.